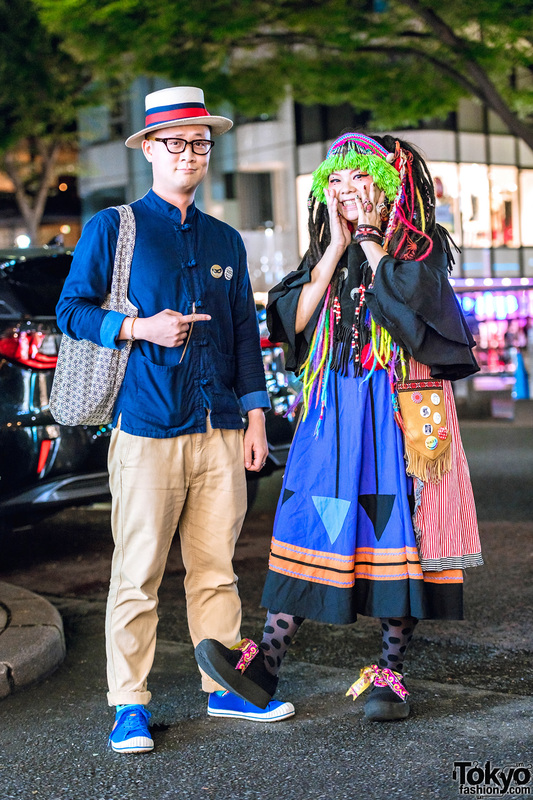 Harajuku duo dressed in casual cool & eclectic styles with denim mandarin collar shirt, tan pants, fringed colorblock dress, suede creepers, colorful hair falls and accessories. 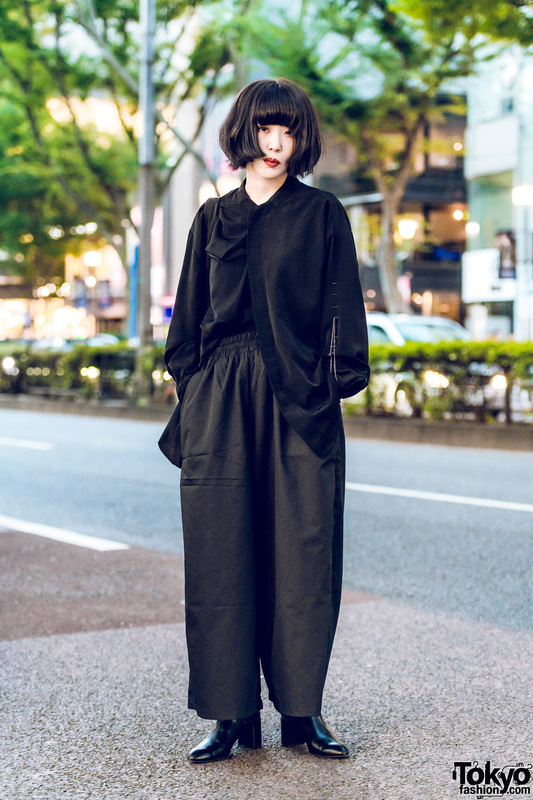 All black minimalist street style by Japanese girl while out on the Harajuku street. 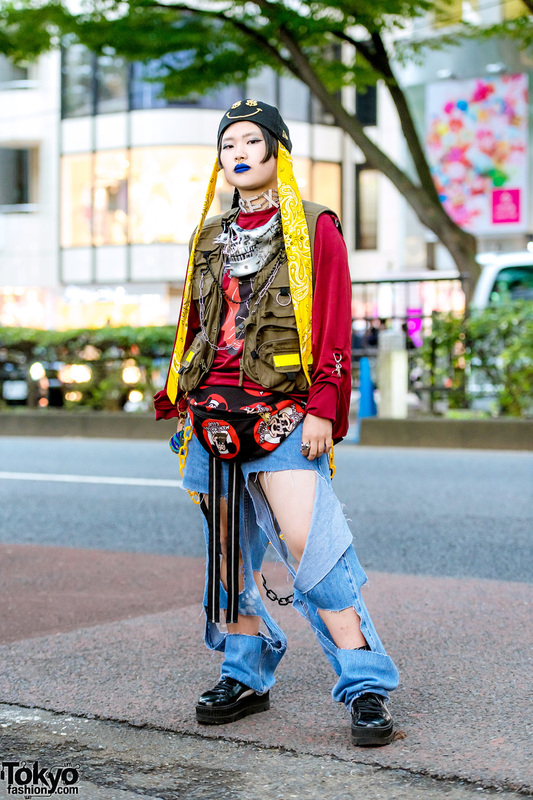 Harajuku girl sporting a remake outfit with pocket vest over sweatshirt, cutout pants, platform sneakers, a Mickey Mouse waist bag and statement accessories. 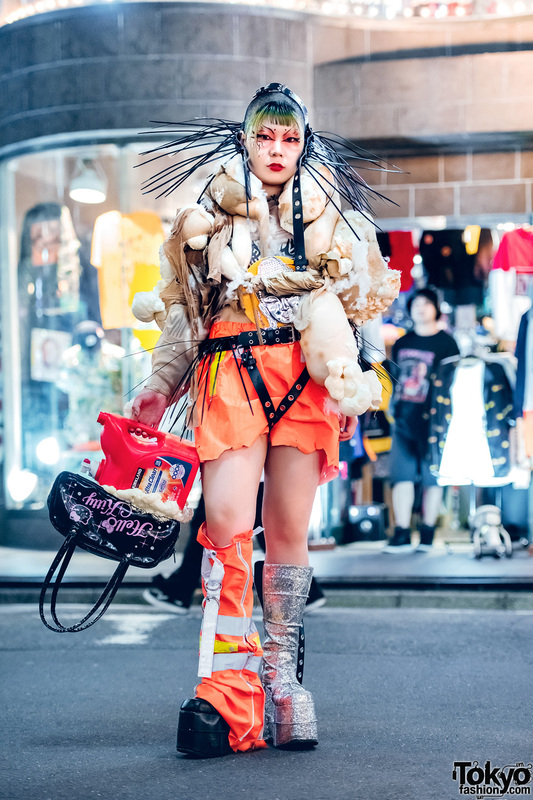 Harajuku experimental fashion student showcasing an avant-garde streetwear look while out and about on the street. 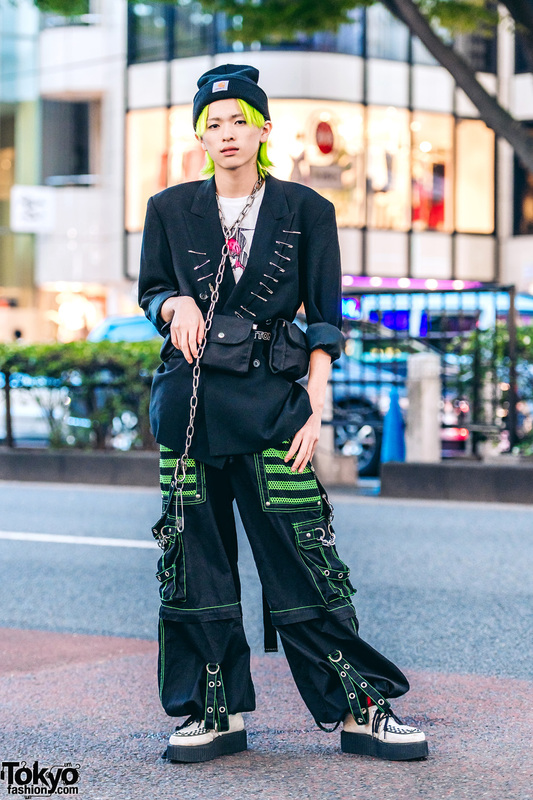 Harajuku duo sporting monochrome streetwear designed by a Japanese fashion student.